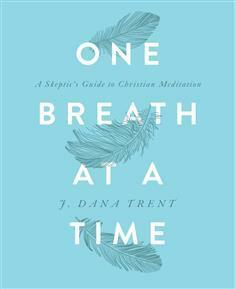 Upper Room Books is pleased to announce that One Breath at a Time: A Skeptic’s Guide to Christian Meditation by J. Dana Trent is featured in the February 2019 issue of Midwest Book Review in the online “Reviewer’s Bookwatch.” Congratulations, Dana! "In the pages of One Breath at a Time: A Skeptic's Guide to Christian Meditation, J. Dana Trent (who is a member of the humanities faculty at Wake Tech Community College, Raleigh, NC) reframes meditation for those who are skeptical because they doubt their ability to be still and quiet and they doubt the validity of meditation as a Christian spiritual practice. "Using scripture, theology, and examples from the early church, One Breath at a Time challenges the prayer habits of Christians that leave little room for enough silence to experience and listen for God. Read the entire review here.